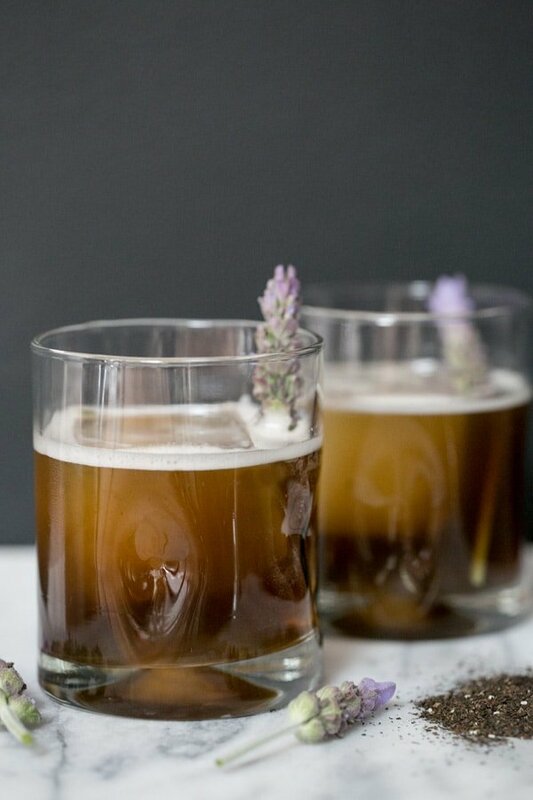 It must be the caffeine in the tea, or maybe it’s the combination of the gin, tea and honey… whatever it is, this Earl Grey tea cocktail is an energy booster! I’ll sip on one when Zan comes home from work and I’m like an Energizer bunny until 12am. It has a very mild flavor, like tea with a dash of lemon, a touch of lavender and then lightly sweetened with honey simple syrup. If you’re looking for a “healthy” cocktail, this recipe is great! It’s incredibly refreshing and easy to make because you can do the prep work beforehand. It also makes a great early evening cocktail… if you want to stay up! Sometimes I need the push to get me through my midnight work schedule! Oh yes I will. Yum! I added your drink to a roundup, I hope that you enjoy! I suggest putting the lavender into the honey as you make the syrup – you will have a deeper, richer taste of both. 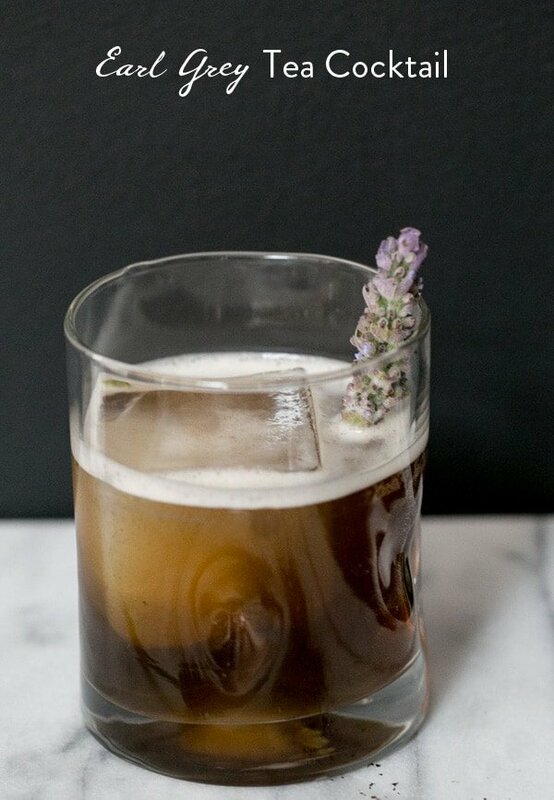 The lavender looks great as a garnish. Your recipe says 6 ounces of earl grey tea, thats almost 180ml? is that correct? its that too much? Another delicious cocktail? Ohh yeah! It’s another reason to bring out a bar cart. Ah!! We love this!! 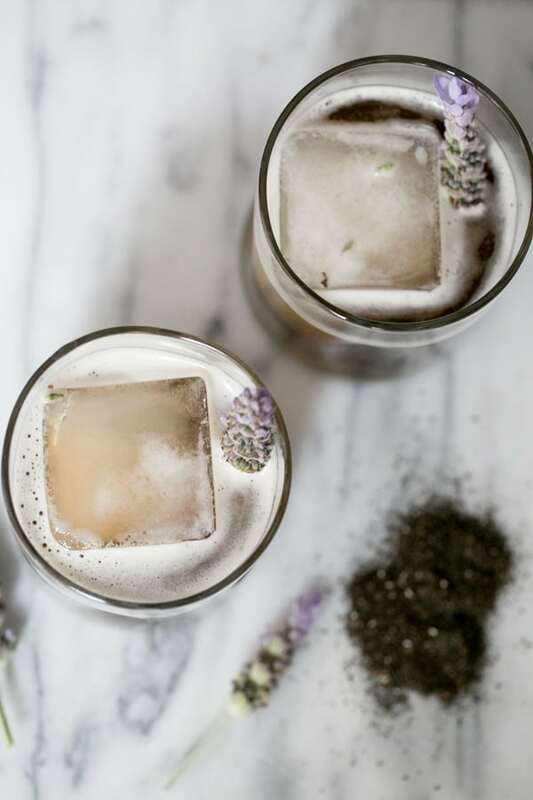 For this cocktail Hendricks would be great because it’s botanical, but our all time favorite is Gray Whale Gin, which can be harder to come by (https://www.totalwine.com/spirits/gin//gray-whale-gin/p/191003750) I also like St. George Gin too! As for honey, local is best! Now you have me wanting to make this again!